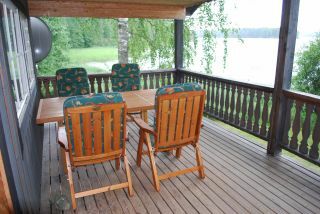 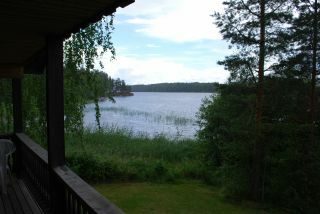 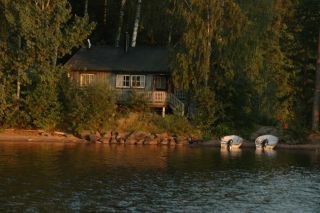 House 7 is located right on the lake and offers an unsurpassed view of the lake. 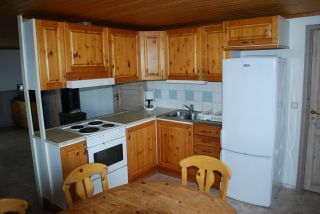 This house contains 2 bedrooms, one with a double bed and one with 2 single beds. 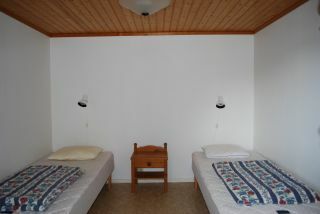 The bathroom is equipped with both a shower and toilet. 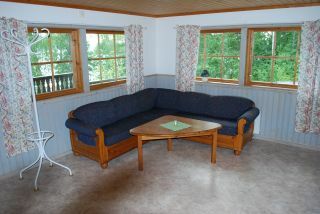 The living room comes furnished with a couch and wood stove, and offers access to the large veranda (porch). 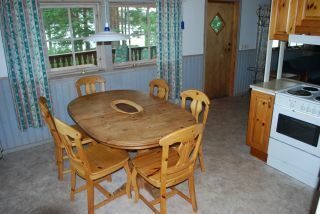 The fully equipped kitchen includes a dining table. 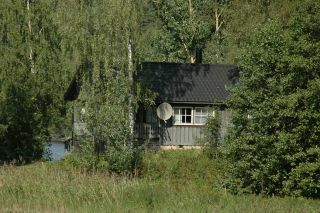 The entire house has electric heat. 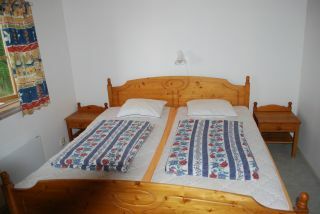 An additional two beds are available in a small guest house, which can also be rented in combination with this house.